GRACE WANETA (PIERSON) WEST of Cardston, passed away peacefully at Lee Crest on January 15, 2016, at the age of 97 years. She will be sadly missed by her 4 sons Gordon (Karen), of Calgary; Allan of Red Deer; Howard (Cathy) of Magrath; Ralph (Lorri) of Phoenix, Arizona and two daughters Peggy (Doug) Blackmore of Cardston and Denise (AngeEmile) Labbe of Stirling and the 28 grandchildren and 62 great grandchildren. Grace was born in Stirling on October 29, 1918 and grew up in Stirling, Alberta where she received most of her schooling. She first met her husband, Hubert, while he was completing his grade 12 in Stirling. They were married December 26, 1938 and lived at Sandy Point, Alberta where Hubert was teaching school. They eventually settled in Del Bonita, Alberta. They owned the General Store where Grace ran the store. Grace was the Postmaster for 20 years. In 1968 they moved to Cardston, Alberta where Hubert was principal of the Cardston High School. Grace loved attending ball games where she kept the stats. She learned and kept score at all the games. She has served on the Cardston Seniors council, on organizing committees and as a participant. She was a volunteer of the Ladies Auxiliary at the Cardston Hospital. Grace was an avid crafts person who worked on various projects. Her favorite was quilt making in which she won several awards and developed a skill in the binding of the edges. She enjoyed making rugs from scrap material, which can be seen in her children and grandchildren’s homes. A few years ago she made “prayer rugs” for her children, grandchildren and great grand children for Christmas. Other crafts included: knitting, liquid embroidery, and crocheting of which she again won awards and ribbons acknowledging her many accomplishments. She was a faithful servant in The Church of Jesus Christ of Latter-day Saints. She held many callings over the years during her church service. Her most memorable service was as a member of the Temple Presidency as Assistant Matron in the Alberta Temple. ​The Funeral service will be held at The Church of Jesus Christ of Latter-day Saints, TEMPLE STREET CHAPEL on Saturday, January 23, 2016 at 1:00 p.m. Friends may meet the family from 12:00 to 12:45 p.m. prior to the service. Interment to follow in the Cardston Cemetery. 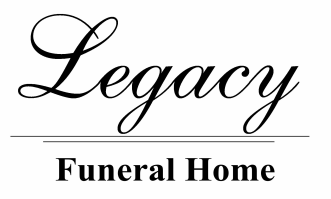 If friends so desire, memorial tributes may be made directly to the Ladies Auxiliary, Cardston Hospital, Box 1440, Cardston T0K 0K0 or to a charity of the donor’s choice.